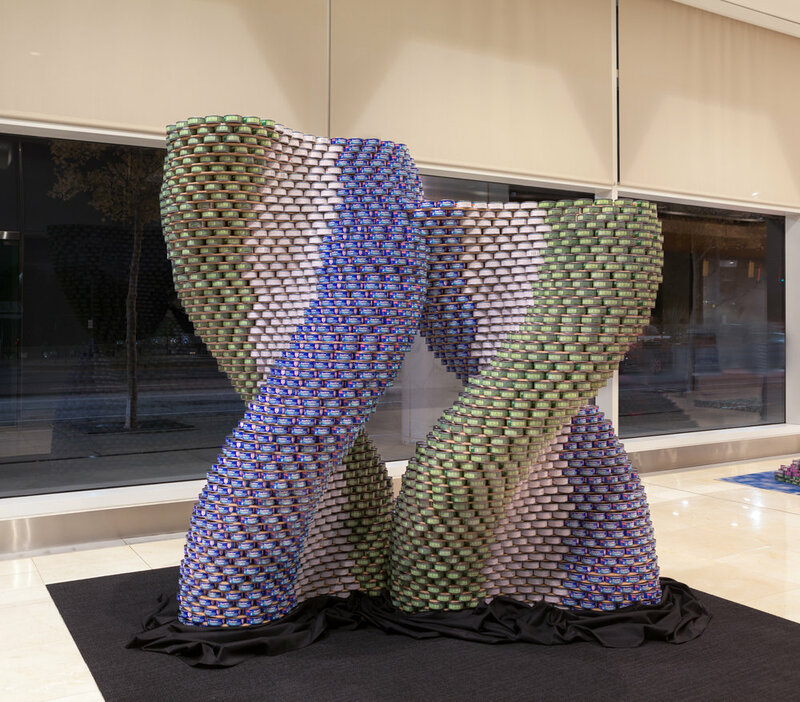 Canstruction Atlanta, now in its 20th year, has just launched its annual art exhibition programme and philanthropic event in association with the American Institute of Architects and the Atlanta Chapter of the Society for Design Administration. Canstruction is a charity that each year hosts competitions and events showcasing structures made entirely out of full cans of food. After each event, all the food is donated to local hunger-relief organisations. For Freedoms Federation is a platform for uses art to encourage civic engagement and discussion in the US. 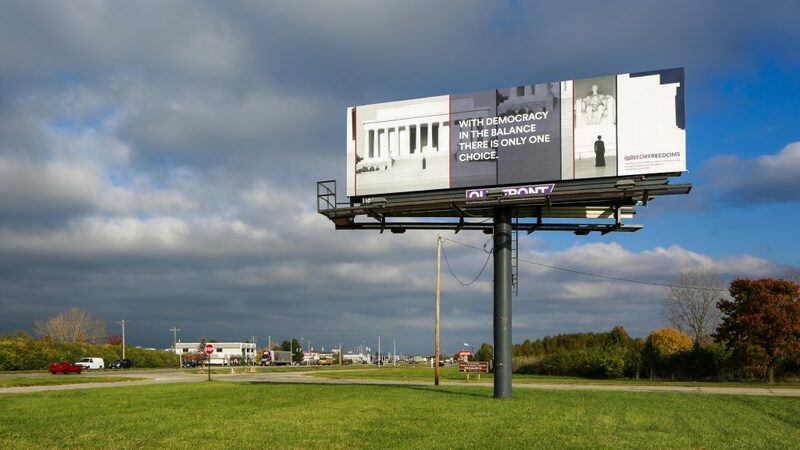 This year, in the run-up to the midterm American elections, it has secured Kickstarter funding for non-partisan The 50 State Initiative that will run from September to December with nationwide public art installations on billboards (above), in town halls and exhibition spaces. The For Freedoms Federation has previously used billboard art to encourage political debate. In 2016 it partnered with artist Carrie Mae Weems – well known for her work that investigates family relationships, cultural identity, sexism, class, political systems, and the consequences of power. Finally, Bloomberg Philanthropies has announced the 14 finalists which could receive up to $1m each as part of the 2018 Public Art Challenge. Designed to foster creative collaboration, address civic issues and support local economies through the public art, the Challenge attracted entries from more than 200 cities with proposals addressing issues such as displacement, immigration, natural disaster recovery and public health and safety. In 2016 Breathing Lights (above) was one of four winners of the Challenge when between October and November of that year it illuminated the windows of hundreds of vacant buildings in Albany, Schenectady and Troy, NY with a diffuse glow that mimicked the gentle rhythm of human breathing. 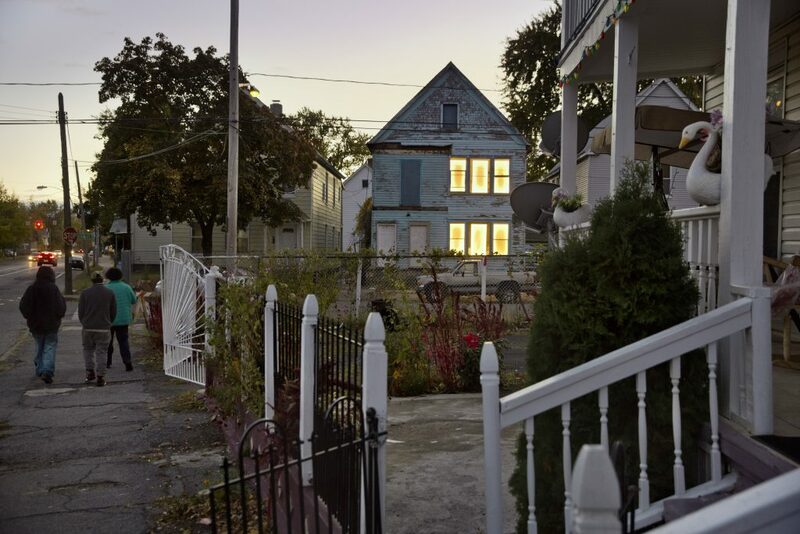 The work was concentrated in neighborhoods with high levels of vacancy and included eight months of programming and events, including youth media projects, building reclamation clinics and community arts projects. Breathing Lights was conceived by artist Adam Frelin and architect Barbara Nelson in partnership with the towns’ mayors. Watch the documentary to find out more about Breathing Lights here.